The Minnesota Department of Transportation Library conducted a valuation and ROI study in 2013. This study is one of the few valuation studies that have been conducted for a special (non-public or non-academic) library. 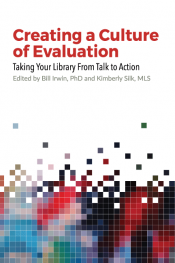 While an abundance of research is available for the ROI of public and academic libraries, practically no valuation studies have been performed on special libraries such as the MnDOT Library. Our study included an extensive literature review, personal interviews with nationally-recognized experts on academic library valuation, and a MnDOT staff survey on library services. The survey was conducted during April 2013; MnDOT staff were encouraged to take the survey, based on their library usage since the 2010 library remodel. Survey results were intentionally anonymous. Of the 4,732 employees at MnDOT at the time, 603 responded to the survey (12.7% response). Survey results were synthesized along with the library staff’s monthly statistical and narrative reports to produce this summary document. Several areas of improvement were identified, including the need for much more outreach, and instructional videos on library services. Survey findings reveal that library users save time, save money, and receive more complete and reliable information than they could find on their own. As we worked through the process of determining the library’s value to MnDOT, it became apparent that the library produces two types of ROI: tangible and intangible. The Tangible ROI was calculated from dollars and time saved, and indicated that for every $1.00 spent on library staff and materials, $1.90 in benefits were returned to MnDOT. Intangible ROI refers to things we cannot measure, such as the value library-supplied standards and specifications bring to MnDOT’s construction projects, or, what is the value of knowledge gained through the reading of materials supplied by the library to MnDOT’s projects, initiatives, and decision-making. Based on customer feedback, the Intangible Value returned to MnDOT is significant. Visit the Minnesota Department of Transportation Library ROI Study page for study materials.